In the first three months of the year, the Romanian brand, which is owned by Renault, has registered 1,978 Sandero superminis and Duster SUVs. 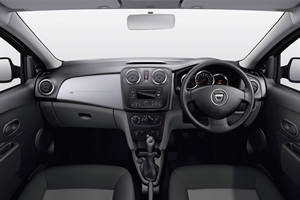 The most attractive of these models for fleets, from a cost perspective, is the Sandero 1.5dCi Ambiance which, with a P11D price of £8,340 and CO2 emissions of 99g/km, is the cheapest sub-100g/km car available. These attributes combine to give company car drivers a benefit-in-kind tax bill of £234 a year – less than £20 a month – while employers also benefit with an annual Class 1A NIC of £161 and running costs of 19.73 pence per mile over a four-year/80,000-mile operating cycle. These figures give the Sandero no direct rival. The budget sector used to be the stronghold of brands such as Skoda, Hyundai and Kia, but their aspirations have moved upmarket. Mainstream superminis typically have starting prices of more than £3,000 higher than the Sandero Ambiance, which puts it closer to city cars. However, they can’t compete with the practicality or interior space of the five-door Sandero, which offers more boot space (320 litres) than a Ford Fiesta (276) or Vauxhall Corsa (285), making it a strong contender for fleets looking for the most practicality for the lowest cost. Much of the reason behind Dacia’s low P11D prices is that its cars feature many parts already used in Renault models. This is most obvious in the cabin, where much of Sandero’s switchgear and air vents are from the Renault parts bin. There are signs of the car’s budget price tag. The doors shut with an unsatisfying clang, there is abundant use of hard plastics and the steering wheel adjusts for height only. Its road manners cannot compete with the majority of supermini rivals either, but it does provide a comfortable ride and its light steering means it is at home in urban areas. Our test car’s highlight was the Renault-sourced 1.5dCi engine. Producing 90bhp and fuel economy of 74.3mpg, it offers power and refinement, ensuring smooth progress and ample overtaking ability if needed. The mid-range Ambiance trim has Bluetooth, radio/CD audio system, electric front windows, remote central locking, an aux socket and USB port as standard. It is expected to make up 28% of Sandero registrations. Top-of-the-range Laureate trim adds air-con, cruise control, electric windows and a trip computer for a P11D price of £9,740 and is expected to account for 64% of sales. Base-level Access trim, which is available only with a 1.2-litre petrol engine, will make up the remainder. All models come with ABS and electronic stability control as standard, plus four airbags in the cabin. However, one issue Dacia will need to overcome is the car’s Euro NCAP rating. Although yet to be tested, it’s likely to score three stars, eliminating it from many fleet choice lists. Structurally the car is sound – it shares much with Renault, after all – and it is likely to score well for passenger safety. But the lack of safety assist systems, such as an audible seat belt warning, will bring the star rating down. Spacious SUV offers genuine four-wheel drive ability to fleets on a budget.